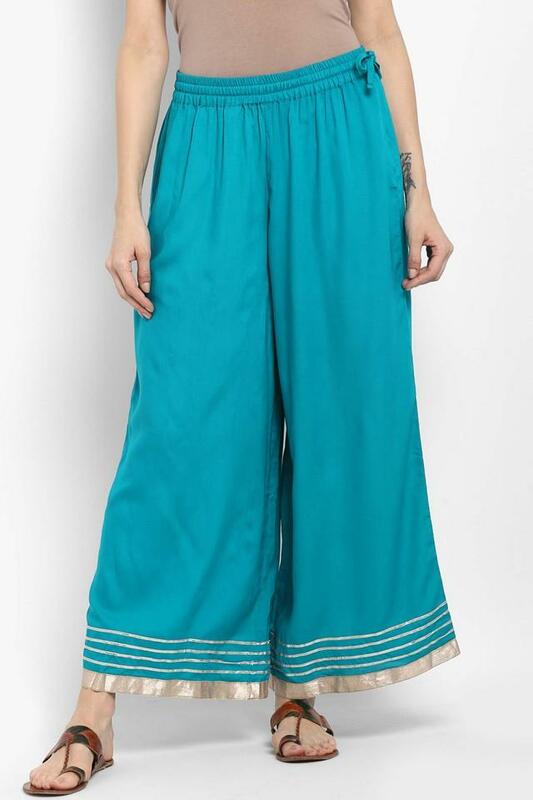 Indulge in some serious styling by wearing this pair of palazzo pants brought to you by the house of Varanga. Crafted with care using premium quality rayon, it ensures day long comfort and easy maintenance. Besides, it features a solid pattern, which is complemented by an excellent display of craftsmanship. 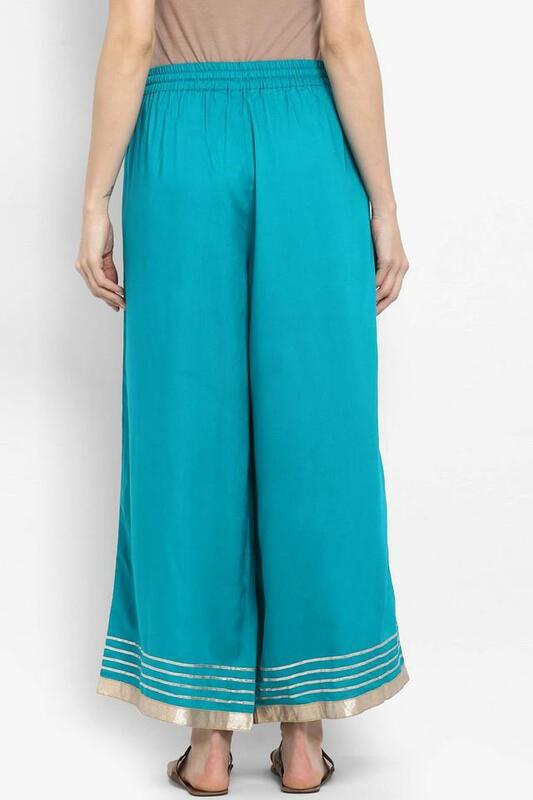 Infuse a modern touch to your clothing collection by including this pair of palazzo pants. You can team it with a wide range of tops or kurtas along with heeled sandals to walk in style.